Doctoral student LaWanda Cook studied the significance of leisure activities in the lives of employed adults with mobility impairments under the guidance of recreation, sport and tourism professor Kimberly Shinew. CHAMPAIGN, Ill. - While leisure activities are essential to physical and emotional well-being and quality of life - they also can be very stressful for people with disabilities, a new study suggests. Recreation, sport and tourism professor Kimberly Shinew. The research, which has been accepted for publication in the journal Leisure Sciences, examined the significance of leisure activities in the lives of employed adults with mobility impairments, and their perceptions of how their disabilities influenced their work and recreational activities. The number of workers age 55 and older is projected to increase to roughly 25 percent of the U.S. labor force by 2020, with many of these older workers aging into disability, said lead author LaWanda H. Cook. Understanding the roles of leisure and disability coping will become increasingly important as these older workers and their younger counterparts who have or acquire disabilities seek to enter or remain in the workforce and strive to maintain a high quality of life. Cook interviewed eight adults with physical disabilities, all of whom were employed full time in professional settings and ranged in age from their early 30s to their late 50s. The study explored what beliefs, strategies and relationships contributed to participants' quality of life, coping and sense of work-life balance. Cook conducted the research while studying for a doctoral degree in the department of recreation, sport and tourism at the University of Illinois. 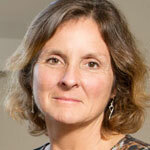 Kimberly Shinew, who is a professor in the department, was Cook's doctoral adviser. Cook now is a training specialist at the Northeast ADA Center, a unit within the ILR (Industrial and Labor Relations) School at Cornell University. "For people with disabilities, leisure can play significant roles in coping and managing the demands of work and other life domains," said Cook, who is a certified rehabilitation counselor. "Although all of the study participants saw many benefits associated with their leisure interests, they also reported considerable stress associated with those activities, especially with respect to the effect that aging was having on their physical abilities." All of the participants highly valued leisure activities, and said these activities provided opportunities to "recharge" or "escape," do things not permitted or possible at work, and to nurture relationships with family members, friends and one's self. Two people, a school counselor in his late 40s and a secretary in her 50s who used a wheelchair and crutches for ambulation, respectively, said that physical activities such as zip-lining and rafting enabled them to explore the adventurous sides of their personalities, aspects of their identities that they were unable to display in their sedentary jobs. However, all of the participants said that recreational activities were stressful for them - as stressful as their jobs, according to some. Concerns such as needing to plan ahead in order to participate, potential inaccessibility of facilities or friends' homes, the availability of bathrooms, and needs for assistive devices or help from their friends all made leisure activities taxing. Five participants said that physical activities were important in helping maintain their physical functioning and independence. However, people who shunned using mobility devices such as wheelchairs and scooters in order to maintain a sense of independence found their choice of recreational activities curtailed as aging affected their endurance and physical capabilities. Another concern that was mentioned by many of the workers in the study was feeling pressured to "pass" or to give the appearance of being nondisabled, and demonstrate that their job performance and other activities were not hindered by their disabilities. However, the people who reported the greatest sense of work-life balance were those who were "central participants" in their workplaces and were more comfortable telling co-workers and supervisors about their disability-related needs, Cook said. These individuals also cultivated mutually supportive relationships with family members and leisure companions outside of work, and benefited from having social support in both domains. All but one of the people recalled deliberately avoiding associating with other students with disabilities while in college, behavior that prior research has indicated is not uncommon. However, several participants said that as they had gotten older, they became more open to engaging in leisure activities with people of similar abilities and lived experiences - but it was difficult to find these companions. To increase participation of adults with disabilities in recreational activities, the study recommends that activity directors become more aware of the diversity that exists within the disability community and help participants link up with potential leisure companions. To promote inclusivity, facilities must be welcoming and physically accessible, enable participants to be as independent as possible and schedule activities to accommodate people with disabilities who work full time. 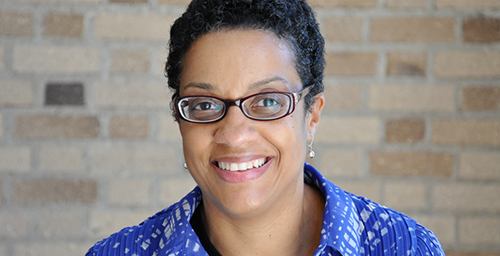 To reach LaWanda Cook, call 607-255-2928; email lhc62@cornell.edu.